The first question most people ask themselves is, why am I calling a plumber? Most people don't know that plumbers work on gas lines, the Gas company does not. If you are unsure whether you have a gas leak, call a local Lakewood plumber. It's always better to error on the side of caution. Did you know the utility Gas company inserts the sent that you smell in natural gas? Natural gas is odorless in it's natural state. The reason for this is if you have a leak, you will smell it and have it fixed rather than blowing the house high in the sky. Gas leaks scare most people when they smell it in the home. 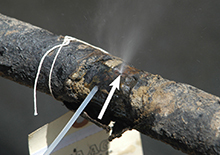 We often get calls for gas leaks when people lack maintenance on their plumbing and have not maintained the system. It's important to keep your plumbing in good shape or buy the proper insurance coverage in case you discover damage from a gas leak in the future. We can find and fix the leak and our Water Damage cleanup team can put your home back together. Obviously, gas leaks can be extremely dangerous. 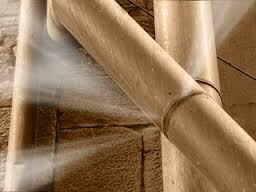 Option one plumbers are trained to fix any and all gas leaks in Lakewood CA. In fact, Option One plumbers are your local Lakewood gas pipe and gas leak specialists.